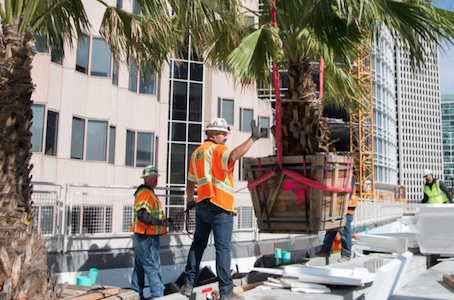 The Transbay Transit Center is poised to open in 2018. 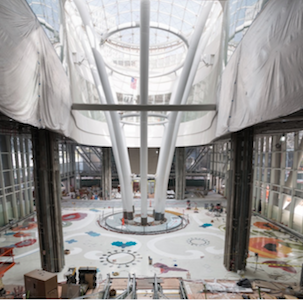 In addition to providing intermodal transit access throughout the Bay Area, the 1.2 million-square-foot Transit Center will feature more than 100,000 square feet of retail space and a signature 5.4-acre rooftop park, including an amphitheater and public plazas. Surrounding the Transit Center are numerous new developments underway that will ultimately include more than 6 million square feet of commercial space, about 4,400 new housing units (35% affordable to very low, low and moderate income households) and new public parks and open space. Seifel Consulting has advised the Transbay Joint Powers Authority, the City and County of San Francisco and the former San Francisco Redevelopment Agency on the complex funding program for the Transit Center, the redevelopment of the surrounding area, and the implementation program for the Transit Center District Plan.